Choose ANY 6 Bottles of wine below to build your own 6 pack. This cabernet is sourced from our premium low yielding Clare Valley vines on top of the picturesque hills of the St Clare Vineyard. It has been open fermented then matured in French & American oak for 18 months. Our Cabernet is dark and brooding in colour with classic minty aromas and a hint of crushed flowers. 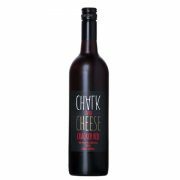 This wine has a luscious rich palate with plenty of blackberries and a touch of mulberries that lead to long lingering savoury tannins. An excellent match with red meat and hearty dishes today. This beautiful will mellow and mature to become a signature Clare Valley premium Cabernet Sauvignon. Alcohol – 15.1 %. 8.9 Standard Drinks. Our bold rich Cabernet is sourced directly from the picturesque hills of our Clare Valley vineyard. Aged to perfection for 18 months in both French and American oak barrels, this sophisticated wine boasts a rich, burgundy colour and a flavour profile with delectable depth—eliciting hints of luscious blackberries, mulberries and a touch of mint that leads to lingering, savoury tannins. Our premium cabernet is an excellent match for chargrilled steak, roast lamb, and other hearty dishes. Enjoy now or cellar for the next 5-7 years. Alcohol – 14.0 %. 8.3 Standard Drinks. Our 2015 Grenache Shiraz is bright cherry red in colour. There are lifted notes of cherries and the aromas of dried fruits along with a hint of white pepper spice. The palate has black berries and sweet spicy cherry fruits. With a concentrated mid palate, this is a rich textural wine that has soft balanced tannins on the finish. An excellent match with pizza and light style meals. Enjoy now or cellar for a while to have future pleasure. Alcohol – 14.3 %. 8.5 Standard Drinks. We are excited by this, our inaugural Chardonnay! Premium fruit was sourced from the higher regions of the Adelaide Hills. It is pale straw in colour. On the bouquet there are notes of lemon and lime as well as green apples, melon fruits and hints of cashew. On the palate there is the lively tastes of melons and granny smith apples. The mid palate texture provides a beautiful richness and presence that will leave your taste buds wanting more! Enjoy this wine over the warmer weather. Alcohol – 13.4 %. 7.9 Standard Drinks. Our chardonnay was handpicked in the Adelaide Hills and fermented in French oak barrels. It is pale straw in colour and gives off beautiful green hues. On the bouquet there are notes of wet stone and stone fruit characters. The palate is textural and rich with subtle hints of oak. This wine will complement a variety of dishes including fresh crab, prawns or a light vegetable pasta or risotto. Alcohol – 12.6 %. 7.5 Standard Drinks. Our premium white Frontignac Moscato is one to be celebrated. This beautiful wine has a very floral and tropical nose with highlights of Sherbet and boiled lollies providing a bright buzzing palate. Elegantly spritzed, the palate is soft sweet and textural with well balanced acidity. Pair this wine with spicy Asian cuisine or a mixture of hard cheeses. Be sure to enjoy this Moscato with friends and smiles. Serve chilled. Alcohol – 8.0 %. 4.7 Standard Drinks. Sourced from our St. Clare Vineyard in the Watervale district of the Clare Valley, this premium dry Riesling is bright and floral while also providing notes of lemon and lime. Flowing seamlessly onto the palate and bringing a soft line of acidity, the result is a fine delicate Riesling. Perfect to accompany light dishes including freshly shucked oysters, salmon and spicy cuisine. This wine will develop softer notes as it ages gracefully. Enjoy on a warm summers night. Alcohol – 10.7 %. 6.3 Standard Drinks. This is a beautiful full-bodied Clare Valley Shiraz, with deep purple hues and a dense rich colour. On the bouquet there are notes of ripe cherries, black pepper and subtle cedary oak lift. The palate has dense brooding fruits of blackberries along with hints of pepper. 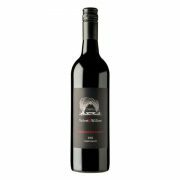 This Clare Valley Shiraz has finely balanced acidity with subtle elegant tannins and a juicy mid palate. Enjoy now or if patient cellar for around 5-7 years! Alcohol – 15.5 %. 9.2 Standard Drinks. This Riesling is sourced from our premium low-yield St Clare vineyard in the Watervale district of the Clare Valley. 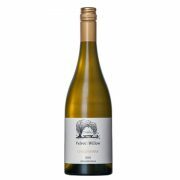 Subtle aromas of lemon and lime flow seamlessly onto the palate bringing with it hints of white flowers. The finish is crisp and strong which is characteristically found in young premium quality Riesling. This fantastic wine will complement white meat and vegetarian dishes as well as spicy Asian cuisine. With maturity this wine will become a classic aged Clare Valley Riesling. Alcohol – 13.5 %. 8.0 Standard Drinks. A new addition to the Velvet & Willow family, this Grenache/Shiraz exudes a bright cherry colour. The beautiful balance of Shiraz to the Grenache provides a fruitful nose with bright cherries flowing seamlessly onto the palate. With a concentrated mid-palate, this is a textural wine that delivers a smooth lingering finish with savoury notes. This wine will perfectly accompany Italian cuisine and spicy dishes. Enjoy now or cellar for the years ahead. Alcohol – 14.3 %. 8.5 Standard Drinks.